When your destination’s stakeholders include Disney and Universal Studios, you’re playing in the major leagues. The city of Kissimmee, located in Central Florida near Orlando, is just minutes from some of the world’s most famous leisure attractions and theme parks, including Walt Disney World®, Universal Orlando Resort™, SeaWorld Parks and Resort, and LEGOLAND®. The area welcomes more than seven million annual visitors. As the region’s destination marketing organization (DMO), Experience Kissimmee has sought to build stronger partnerships and collaboration with Disney and other global brands. When DT Minich became President & CEO of Experience Kissimmee in August 2014, he enacted changes that would lead to a privatized model for the DMO. I spoke with him about why the organization changed, and about the new partnership opportunities that came as a result. David Archer, Destination Think! : Tell me a little about your destination and why people visit Kissimmee. DT Minich, President & CEO, Experience Kissimmee: The original entrance to Walt Disney World was in Kissimmee, so we’ve had a longstanding relationship with theme parks. We also have incredible eco-tourism in the other parts of Osceola County. We have airboat rides, zip lining, beautiful lakes for kayaking and fishing, the largest population of American bald eagles outside of Alaska, and we’re also the headwaters to the Everglades. We have the most world-famous man-made attractions and also some of the state’s most amazing natural wonders. 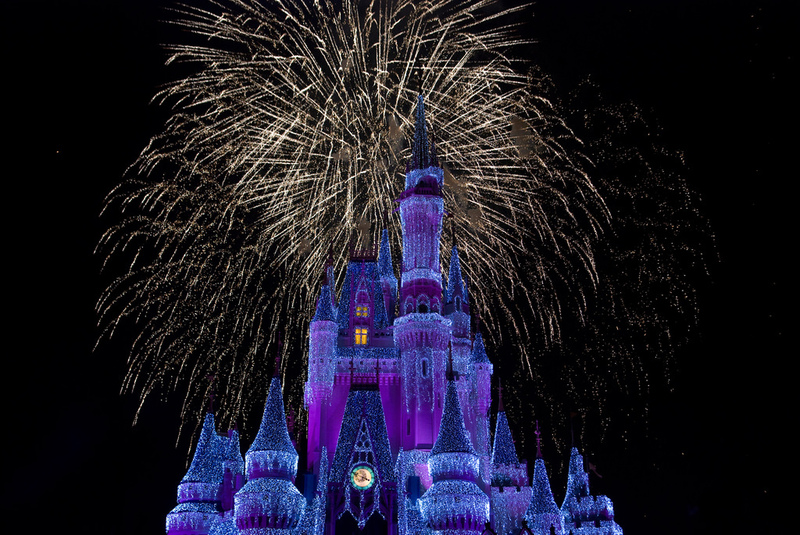 How do the landmark attractions like Walt Disney World Resort affect your destination’s strategy? In October 2014, we privatized the bureau, which enabled us to increase cooperation with the theme parks. For the thirty years or so that the bureau had been in existence, it had always been a county government agency. The industry pushed to have it become a public/private entity. And so they brought me on [as President & CEO] in August 2014, and by October 1, which is the start of our fiscal year, we became a private organization. How has privatization helped cooperation increase? The theme parks are very competitive. In Florida, we have something called the “Sunshine Law”, which means that if we were going to do a co-op marketing program as a government agency – with Disney, for instance – the dollars that we spent on the program and everything created from that would be available to Disney’s competitors to view. We became a private company so we can act like a Disney. So in the last two years, we’ve been doing incredible things with the theme parks and really expanding the cooperation and implementing co-op marketing. For example, we have completed a big co-op marketing program with Disney in Brazil. And Universal Studios co-sponsored our luncheon at the 2016 U.S. Travel Association’s IPW (International Pow Wow). As a private organization, we’ve really been able to work closely and expand our opportunities with the theme parks. The difference has been like night and day. Can you describe some of the opportunities that have come from these partnerships? We have also negotiated some sponsorship contracts. Orlando City SC is the professional soccer team in Orlando, and we were able to negotiate a contract with them as their official tourism sponsor. Ricardo Kaká is a world-famous Brazilian soccer player who plays for the team. He has the biggest Facebook following of any professional athlete in the world; and, he has a huge following in Brazil, which is a very important overseas, long-haul market for us. As an official sponsor, we’re displayed on the stadium’s LED signage during every game, which are televised in Brazil and elsewhere. We are also the podcast sponsor for Kaká’s podcast that he does in Brazil. This has been another example of a great partnership and a great sponsorship that we probably wouldn’t have been able to accomplish as a government agency. Following the success of the Orlando City deal, we announced a tourism partnership in August 2016 with West Ham United F.C., a Premier League soccer team in the U.K. That’s been a huge opportunity for us as well. In August 2016, the team moved into London’s Olympic Stadium, where they have installed the world’s largest LED scoreboard and then a very high-tech LED pitch – that’s the LED board on the field level. So Kissimmee is featured prominently in the stadium. We are working with West Ham United to bring them over for some exhibition games with Orlando City, but we’re already getting tremendous exposure around the world with the West Ham partnership. Aside from these opportunities, are there any other important reasons for Experience Kissimmee’s change to the new private model, or challenges you have been able to overcome since then? The change allows us to act like a marketing organization and a marketing agency. Another advantage of privatization is competitiveness, which means being able to pay competitively to get the highest quality people and knowledge. I’ve been able to put together an incredible team in the last two years. We’re bringing in some talent that we probably wouldn’t have been able to before. As a government agency, our salary wages were quite a bit lower than what was out there in the marketplace. Now that we have competitive salary ranges, I was able to bring in my Vice President of Digital Marketing from Universal Orlando, and he’s incredible. We would have never been able to have him on the team if we were a government agency. We also work very closely with Brand USA on a lot of cooperative opportunities, especially in the international market. We’re set up in a similar way, as a private/public entity. Do you have any advice for other DMOs who seek to collaborate with partners large or small? Sometimes you might look at an opportunity and think, “There’s no way we could partner with them,” but there are ways to look at things differently and to create some unique partnerships. Five years ago, we would have never thought we’d be partnering with soccer teams, for example. You need to look at every possibility and every opportunity.